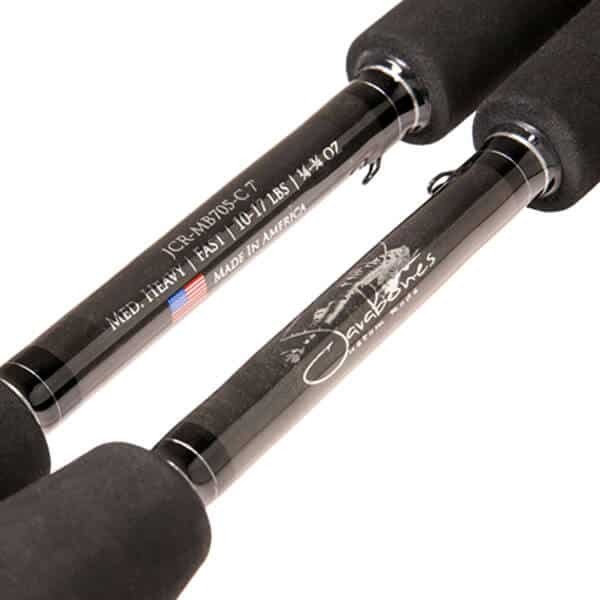 Custom built Javabones JCR-MB705-C 7’ split grip casting rod is the staple rod for Javabones Custom Rods, LLC. Designed for maximum sensitivity, vibration conduction, and next phase performance, the overall feel of this rod is staggering. Javabones JCR-MB705-C 7’rod utilizes the weight reduced tip section, fast taper into the power section, and the precise positioning of components to amplify bite detection. Super light, super sensitive, the versatility of this rod covers techniques from spinnerbaits to Texas rigs and top waters to moving baits. This is truly an all-around technique American made rod.